Staying in the Telegraph Hill/North Beach area of San Francisco, there most definitely was not a shortage of Italian restaurants to choose from. However, choosing a restaurant with an interesting menu and that wasn't trying their hardest to lure in the tourists was a bit harder, especially if looking at restaurants along Columbus Ave. After looking at all the menus up and down a three block stretch of Columbus Ave, we chose Panta Rei as their menu was actually dated for that day, was a simple one page menu, as opposed to an impossibly long book of items, and all the staff were speaking in Italian. We started with mozzarella con bruschetta, thin slices of toasted bread, lightly drizzled with olive oil, topped with fresh, juicy tomatoes, sun dried tomatoes and moist mozzarella. 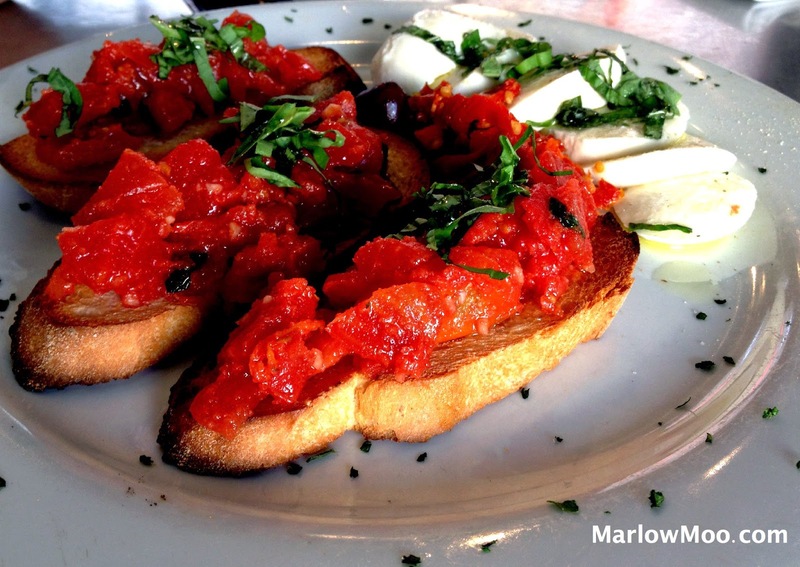 The bruschetta was flavourful, light and and wetted our appetite for entrées. 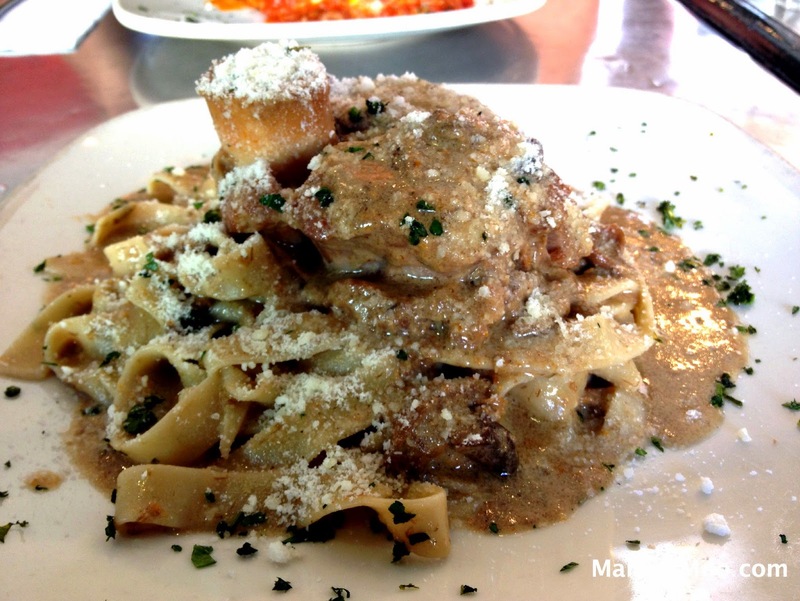 The osso bucco con pasta, although not a particularly photogenic dish, was heaped full with pasta. The veal fell off the bone the moment the girl touched it with her fork. She said the meat was most and flavourful, the porcini sauce was earthy and creamy tasting, and the portion was enough for three meals for her. 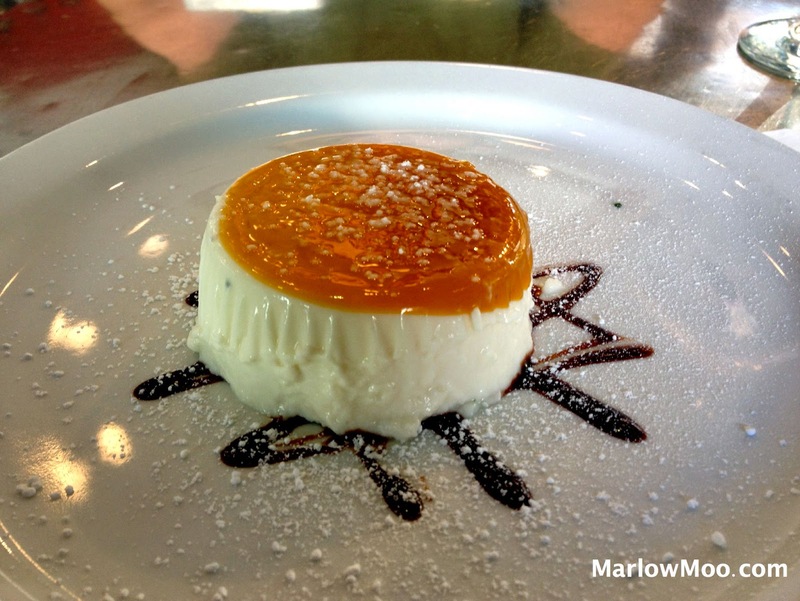 Both desserts were delightful, although the panna cotta was stiffer than I was used to, it was still smooth and luxurious in the mouth, while remaining light. The mango purée on top did not overwhelm the delicate vanilla flavouring, but complimented it perfectly. 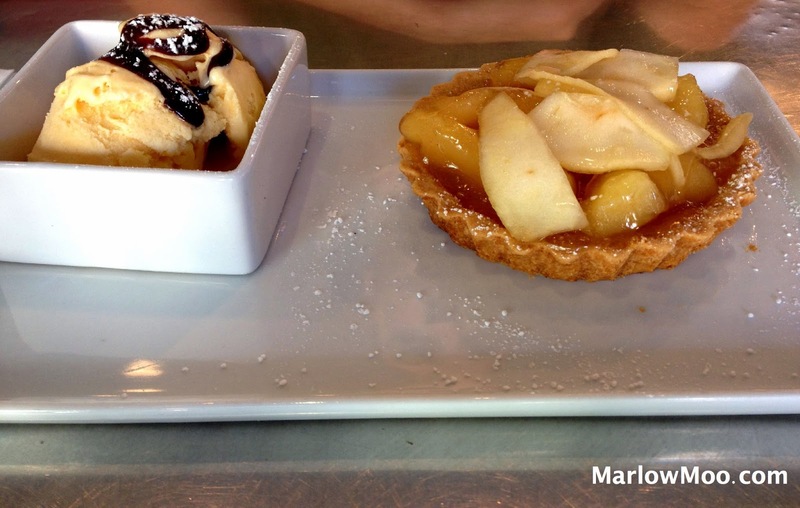 Although the pastry on the torta di mele was a bit thick, the apples were baked to that fine balance of soft yet still slightly crispy, topped with a rich ice cream and a drizzle of delicious hot fudge. Overall, Panta Rei was a good, random find for us and we would definitely return again. If you’re looking for a place to eat while in North Beach, give Panta Rei a try for consistently tasty and generously portioned Italian food. A beautiful place to go in good company, I wish you happy holidays and good fun. From now on I will follow you too :) If you wanna pass me by I'll wait with great pleasure and honor.